We tend to use brand names when referring to items, Kleenex, Coke and even verbs like “let me Google it”. When brands like these are used in this way, it shows that they have achieved brand awareness and recognition, and they are highly credible. How did they achieve brand awareness success? Did they need decades of recognition to be where they are now? Is brand awareness a vanity metric? Brand awareness can be defined as pinpointing what makes your product/service unique and then using that uniqueness to showcase what your company’s inherent value is. This means that branding goes beyond your company logo or graphics (brand recognition). It includes the experience that the customer has when dealing with your brand from the first point of contact, including the customer service received. Without proper branding, it will be difficult even for customers to recognize your brand and help with brand awareness. Filling in your bios on social media, adding a cover page and using your company logo on your site, social media, and all publications, as well as using your primary brand colors will make it easy for people to recognize your brand. This is true even as you work towards brand awareness. 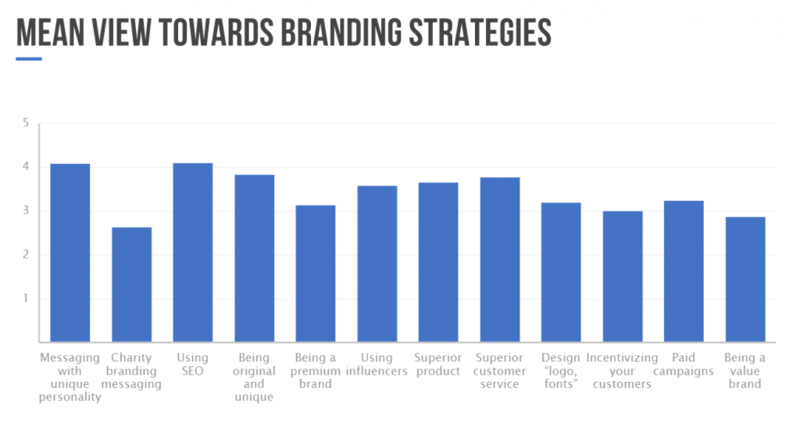 As you may have noticed, brand awareness and brand recognition are sometimes used interchangeably, but brand recognition is actually an element of brand awareness. Whether or not brand awareness is a vanity metric has been a debate among marketers for a while. One school of thought is that brand awareness reminds the target audience of the values that a brand stands for. It is, therefore, key to a company’s success. One of the strongest drivers in decision making is the ability to remember a product or service. Brand awareness is what fuels the recalling of a product/service. A good example of an investment in brand awareness is Chevrolet’s sponsorship of Manchester United. The CEO was quoted saying that the sponsorship gives the brand access to a worldwide audience. However, understanding what specific methods and knowing how to measure brand awareness campaign is another topic. Highlights the qualities of your product or services to both existing and potential customers. Increases the recognition of your product or service among consumers. Creates a lasting impression in your customers’ mind. Increases market share and sales. Here’s more on why brand awareness is important. Using different channels to increase brand awareness and their effectiveness is one thing. Knowing exactly what contributes to the growth of your brand is another. Here are few examples of what you can do to increase your brand awareness. The content that you generate as a brand is vital for brand awareness. Recognized brands’ content can easily go viral due to their higher credibility. Where content is then published and shared is also important for brand awareness to be achieved. A statistic from Investopedia states that by 2017, social media users spent approximately 2 hours and 15 minutes daily on social media platforms. What does this mean for brands? That social media platforms are a powerful way to create brand awareness. You need to share a strong background story of your brand. If your brand was inspired by providing a solution to a waste management problem, for example, you need to share it. Such a story is inspirational, memorable, and not to mention shareable. You can also showcase a brand behind-the-scenes video of your team or offices. This contributes to your brand’s credibility and adds a human touch to your brand. This story is part of a set of stories titled “Will it blend?” The point is to show how strong the blenders are, without actually using the words strong in the marketing strategy. Create content that helps your audience. If you sell healthy snacks, for example, you can share tips on healthy eating. If you are a clothing brand, you can share fashion advice. It is difficult for someone who benefits from your brand to forget it. If your industry is a bit more fun, sharing knowledge may not always be necessary. If you sell dog treats, you may want to share fun, entertaining content. A good example here is BarkBox. As you can see they play up a big internet trend, “Bird Box”, which everyone is talking about. 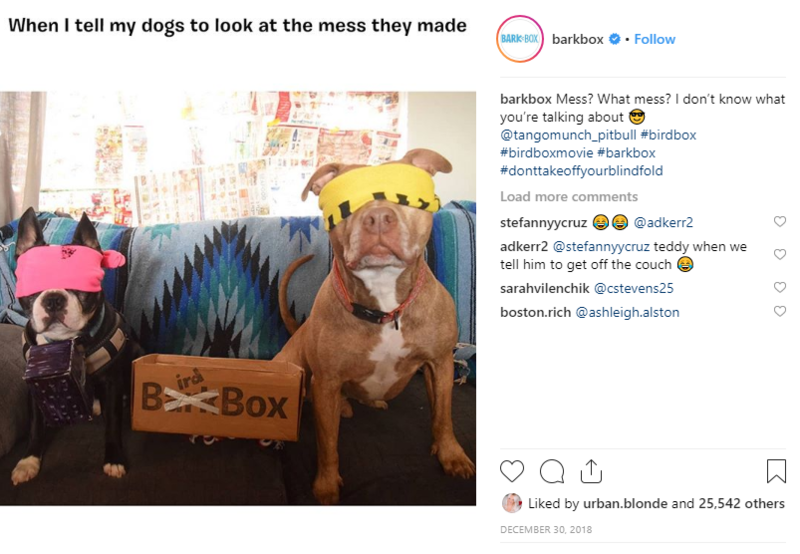 BarkBox used some user-generated content, which plays up the trending meme that has been circling. Making it both funny, and trendy! If you browse through their Instagram feed, you’ll find they actually post quite a bit of user-generated content. Which creates helps create new avenues to be seen by a variety of people as, the customer content they share typically receives a lot of interaction from their customers and their followers. You may want to do a simple audit of the best performing content on your blog or social media pages and repurpose it. For example, if you had a 2000-word article that did well on social media, consider making an infographic based on the key takeaways. This will ensure the contents longevity and allow you to cross-promote it in different ways to maximize exposure, all while helping you reach new audiences. You need to know what is trending and find a way to weave it into your brand. For example, on Twitter, you can see the trending hashtags. Choose those that you can relate to your brand. On Facebook, you are able to see what’s popular across the platform. 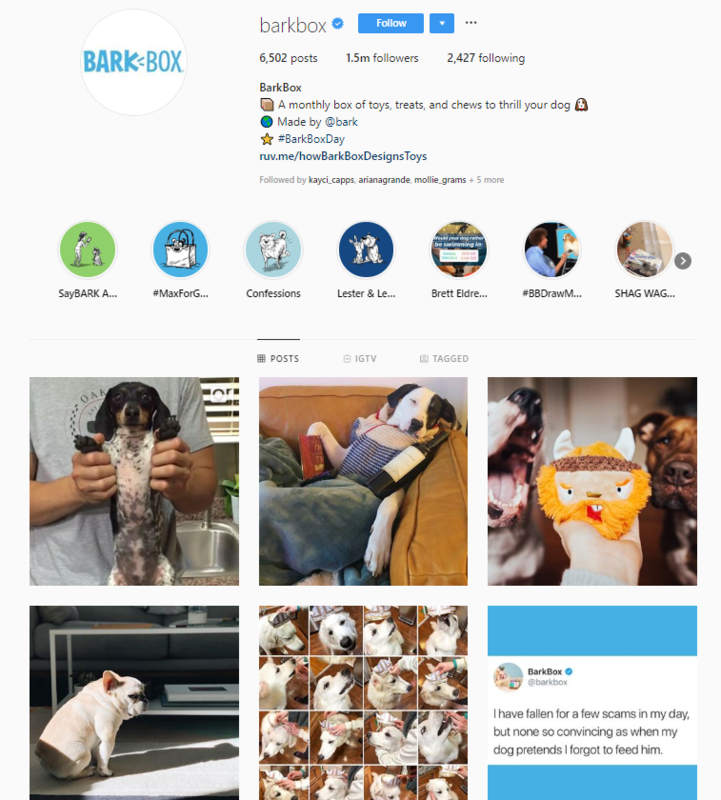 On Instagram, you can search using hashtags and see the popular ones (those with a large number of posts) or those who use the hashtag that are most relevant to your brand. Then start conversations with those who are seemingly enthusiastic about the topics that are related to your brand. This one is closely related to jumping on trends. Find a topic that is trending and take a stance. This will generate feedback from your audience, and who knows you might attract enough attention to go viral. Be careful though, you may want to tread lightly, depending on the topic you choose to dive into. One of the best places to guest blog is on news sites. You could request for a column where you can write expert views in your niche. News sites have high traffic and you are likely to achieve awareness for your brand by consistently publishing content, or addressing concerns raised by your clients or readership. Ensure that you always have a byline, a short description of your company and company name, or link to your social media pages. This will create an opportunity for brand awareness. A social media link to your profile will give your readers an opportunity to contact you should they have any questions or concerns. Since they will see you as an expert in your niche, you need to respond in a way that will offer value. You could also create guest blogging opportunities on your site where other experts in your niche can create blog posts and share with their audiences. And additionally propose a swap. Learn more of what experts have to say about guest blogging best practices. You can also test out Google Ads. Ensure that your copy is creative. For display ads, your images need to be great too. Most importantly, target the right keywords and include negative keywords to avoid wasting your advertising dollars when the unintended audience gets to see your ad. A Q&A session is an opportunity to showcase your company as transparent. You need to come up with a discussion point. It could be a common pain point among your customers. You then need to look for a panel of experts who can effectively handle the discussion. You can take questions from your listeners or viewers and also give them a chance to participate via social media. Choose a platform where your prospective customers are likely to be. If most of your customers hang out on Facebook, a Facebook live Q&A might be the best option. If they hang out on Twitter, you may want to use a Live Tweeting approach. Go for a hashtag that is descriptive of your Q&A. Polls can also be a way to stir conversations around your brand. This strategy is closely related to Q&A. You can host a podcast or webinar at a time when your audience is highly likely to tune in. Ask your customers or audience to register for the webinar, so they can participate in the action. You can also ask for your customers email addresses so you can share the replay link, which should expire after some time. This will create a sense of urgency to listen and share. You can even publish the transcript on your site at some point afterwards to create even more content for your brand. This is an oldie, but goodie. You could display an ad in physical locations like billboards, flyers, or store signage. This can be supported by in-store distribution. So for example, if you are introducing a new lunch product, you can distribute it in a supermarket. This type of paid media still works well for brand awareness. When you publish content on LinkedIn, you position yourself as an industry leader. Other platforms like Medium also give you an opportunity for brand awareness. You can also respond to questions on Quora, Reddit, and other discussion forums. You need to create a partner program with other businesses in your area or that are related to your niche. For example, if you are in the luxury space selling menswear, you can partner with companies selling luxury watches and wine. This way, you can refer each other to your customers. Sometimes, you may partner with brands that are not related to your niche, but that target the same audience as you. If your target audience in the luxury space tends to travel a lot, you can partner with travel companies, for example, and have the travel company share your magazine with the travelers so that they can read them during their journeys. Influencers have large audiences, especially on social media. You need to choose influencers carefully to ensure that you reach the right audience who could end up becoming customers. Go for influencers who talk about your niche or related niches. Most importantly, the influencers you choose should have a good reputation that will further boost your brand’s reputation. You need to also look out for follower engagement, and whether their target audience is similar to yours. Learn more about influencer marketing. Free trials, digital wallet credits, and physical products are a good way to create brand awareness. People are highly likely to share their experience with your brand when they get something for free. They are also likely to become a brand ambassador this way! Branded shirts for example can turn someone into a walking billboard. Find a cause in your community that you can venture into. This will showcase your brand as concerned about the community’s affairs and will allow the people to hold you in high regard. If you sell bottled water, for example, you may sponsor a local charity walk via giving free bottled water for the participants. Become a member of associations. If you are in the marketing niche, join the marketing associations in your region. It will not only expand your networks but give you an opportunity for brand awareness via a larger umbrella and recognition as a professional brand. Depending on the niche, belonging to regulatory associations might even showcase your brand as compliant and trustworthy. A new company may advertise in a prominent publication issued exclusively among the members of the association. The company may even attract the attention of investors who may offer to fund the business. In this case, brand awareness will have resulted in a variety of benefits for that company. Go for the platforms where your audience is likely to hang out, and where your niche is highly likely to fit. If you are dealing with a brand that is “photo-heavy” a platform like Instagram or Pinterest might be ideal. If you are a B2B, Twitter and or LinkedIn might be your preferred option. As you can see there are quite a few ways to help increase your brand awareness. But to stand out from the crowd, you’ll want to take a look at the top innovative ways to maximize your exposure. A referral program is one of the approaches that you can use to achieve brand awareness. Effective referral marketing mixed with influencer marketing and word of mouth marketing, gives you the potential to reach thousands of people. Thus making this a top growth method. This is because when you reward your customers, they are more likely to share their experience via word of mouth and social media. Customers trust referrals from family and friends as compared to information relayed by brands. Not to mention the reward that you give your customers and the people they refer primes you to be shared. Therefore it should be useful to make it even more appealing. For example, travel credit, a discount on your service or product, or a free trial if you are a software company. Here’s an article on how to get more referrals for your business. When your product has good packaging, it is easy to stand out from the competition. A cheap looking package will simply not cut it. It may give a high quality a wrong impression in the eyes of the customer and remember first impressions last. Your packaging should be of high quality. Something else that you need to be careful about is the colors that you choose for your packaging. Go for deep and bright colors as they do uplift the viewer’s moods. The colors you go for should also be determined by the product or service that you are selling. Earthy colors are good for organic products or natural products, for example. Descriptive pictures are also a plus with standing out from the competition. Lastly, be creative. You can add a logo to your packaging or change the shape of your box or bottle. 59% of marketers saying SEO is the most cost-effective content types for building brand awareness. So you’ll definitely want to invest the time and resources to do proper SEO. There are multiple methods to help increase brand awareness using SEO. You’ll need to track your analytics to understand your traffic, the search terms that people use the most when searching for your site/product/service, your referral traffic sources, and even your audience interest. This will help you make informed decisions on the sites to reach out for link building, or guest posting, the keywords to include in your content. While there are brands that succeed via telling their brand story themselves, there are those that tell the story of the customers, or better still, give an opportunity for their customers to tell their story. An example here is Airbnb. They have a page where customers tell their story. They share their photos and show how incorporating Airbnb into their lives has made their lives better. We had looked at how you can tell your brand story. It is important to note that in order to tell a good story, you need to have a strong, relatable character. The character should also be a natural and authentic. Choose the tone that your character will use depending on your brand. It could be inviting, serious or even sophisticated. Brand awareness is important if people are to buy your products or use your services. It helps create a lasting impression that makes your brand unforgettable among the competition. It also makes your brand easily recognizable so that people do not have to struggle to identify your products or services. It is by no means a vanity metric. What Do People Attribute To Building Brand Awareness?